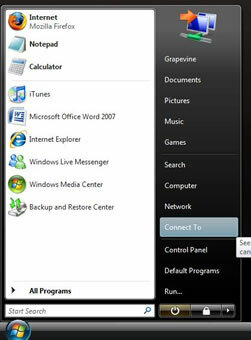 2) Click on "Set up a connection or network". 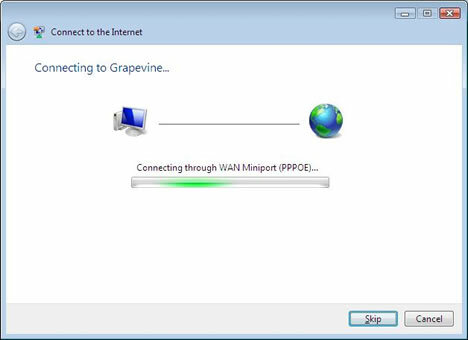 3) Double click on "Connect to the Internet" and then click "Next". 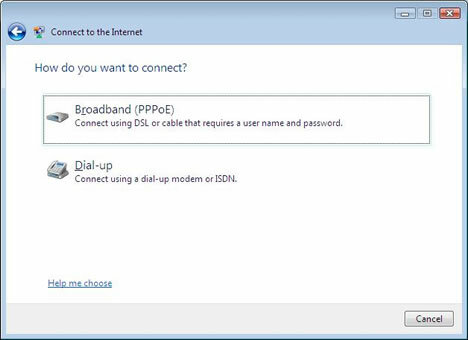 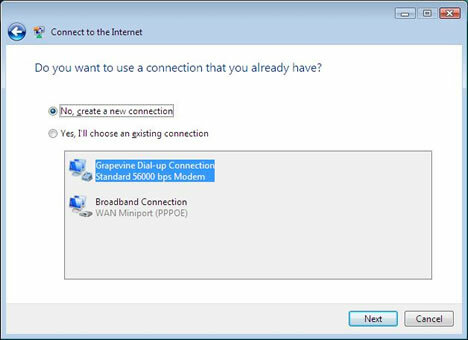 4) If you see the screen below, select "No, create a new connection" and then click "Next". 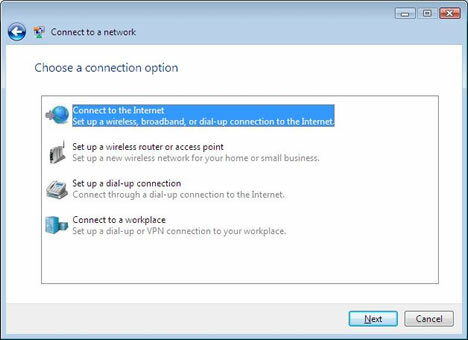 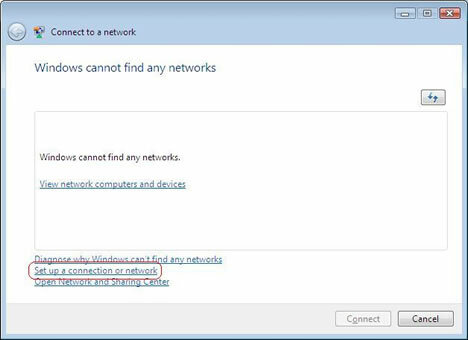 7) Windows will now connect you to the Internet and create a shortcut on your desktop. 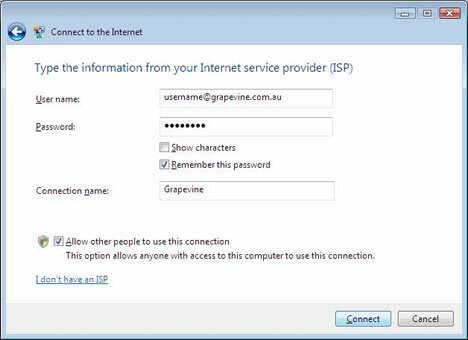 8) You should now be connected to Grapevine.